Harvest season is upon us! Now is the time to store and preserve as much of the late summer bounty as possible. Make the most of the season’s tomatoes, peppers, squash cabbage, apples, etc by trying new recipes and pickling, slow-roasting, drying, canning, and freezing. This month, shoppers who use Maine Harvest Bucks can make food budgets stretch even further. During Store-Up September, shoppers buying food with SNAP/EBT can double their dollars at select retail stores: for every $10 spent on local foods, they’ll receive another $10 to spend on local fruits and vegetables. There’s still a week of Store Up September left, and you can find more details at the bottom of this post. Heat the oven to 400 degrees. Roast the squash on a baking sheet until tender (time may vary depending on oven). Check frequently and once the skin starts to brown, cut into the squash and test to see if it’s cooked through. Remove from oven when done, and let cool. Once cool, scoop out the seeds and either save to salt and roast (yummy snack) or discard (compost or chicken feed). You can leave the skin on, eat the skin separately as a tasty snack (if you haven’t tried it, you’re missing out!) or remove. 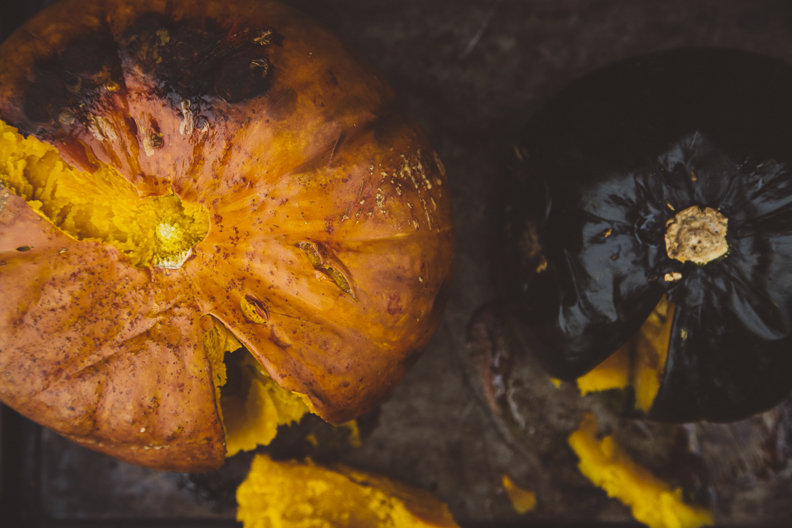 Blend the squash with the ginger, cream or non-dairy milk and broth until creamy. Add salt and pepper to taste. 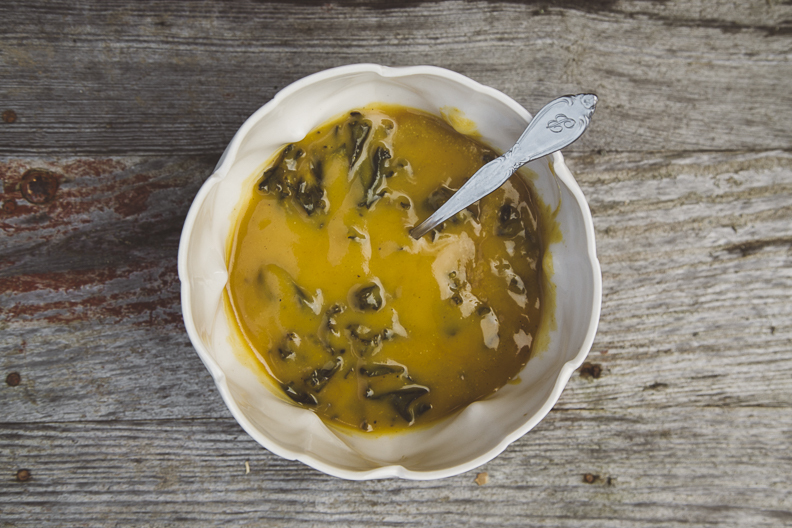 In a cast iron pan on the stove, add the shredded kale to a spoonful or two of butter, olive oil or coconut oil and sauté until wilted or crispy (whichever you prefer), then add to the blended soup. Portion out leftovers into glass jars, freezer bags, or plastic containers, and freeze for an easy meal during the winter months. New to canning and preserving? Check out UMaine Cooperative Extension’s guide to food preservation. Maine Harvest Bucks incentives are available at farmers’ markets, food hubs, CSAs, and farm stands around the state. For a full list of participating markets (including a map to find them near you), visit maineharvestbucks.org. Stores participating in Store-Up September include: the Belfast Co-op, Blue Hill Co-op, Good Tern Co-op, Machias Marketplace, Morris Farm Store, Portland Food Co-op, Rising Tide Community Market, and The Farm Stand. Contact Shannon Grimes for more information, shannon@mainefarmlandtrust.org or 207-338-6575.